TreeNodeElement: Represents the entire node element. Contains all other elements. TreeNodeImageElement: Used for displaying an image. TreeNodeExpanderItem: Used for expanding/collapsing child nodes if any. 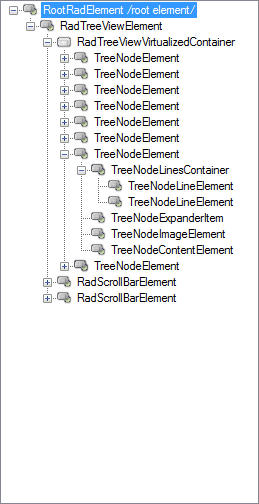 TreeNodeLineElement: Displays a line that connects the nodes. 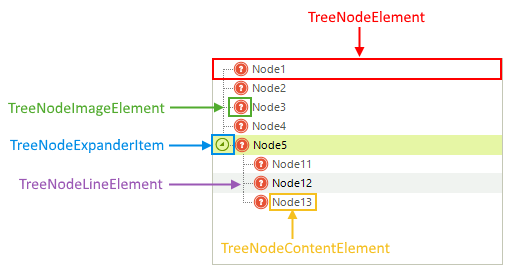 TreeNodeContentElement: Shows the the node text. Can display additional image as well.